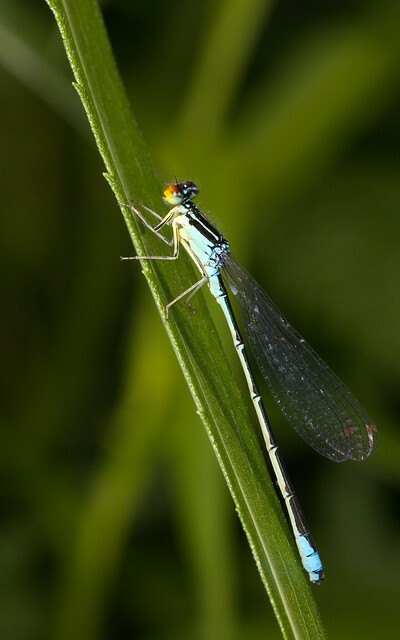 Male Rainbow Bluets have a blue taillight and a more or less greenish thorax -- sometimes blue with just a drop of green in it, sometimes a beautiful seafoam color. 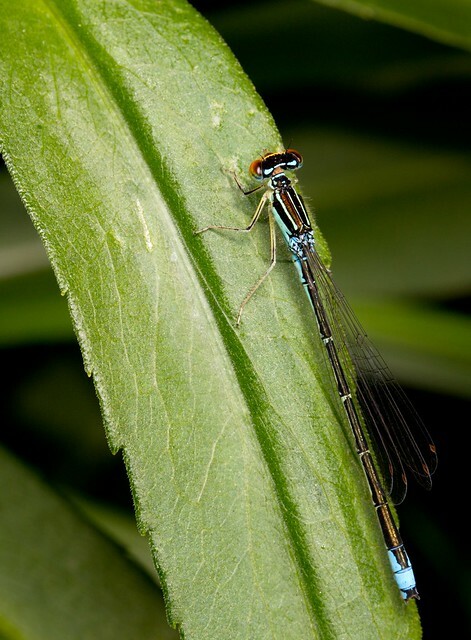 From a distance they can be hard to distinguish from Eastern Forktails. 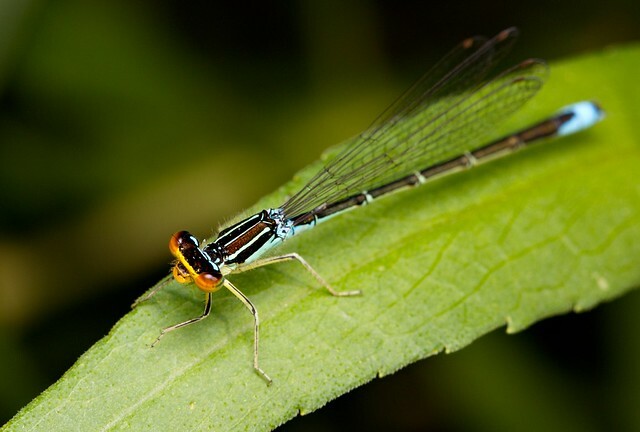 Close up, they're easily recognized by their pale yellow legs, yellow-orange faces, and color-wheel eyes. From above they have a scratch art look, with thin stripes of bright color showing through a black background. 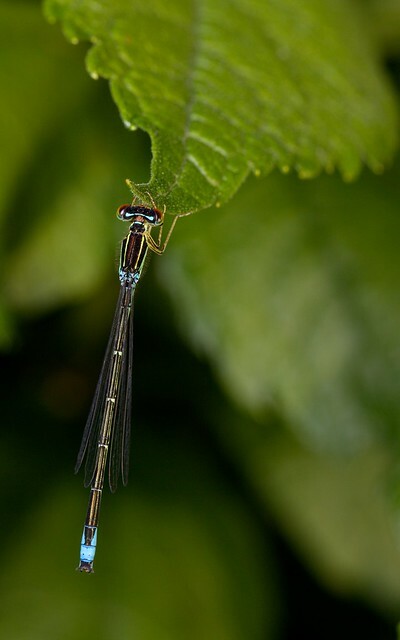 Those are gorgeous, and I'm envious of how you got the plane of focus lined up in that last one, so the clung-to bit of leaf is in the plane with the whole length of the damselfly. Agree that these are very well done and beautiful photos.